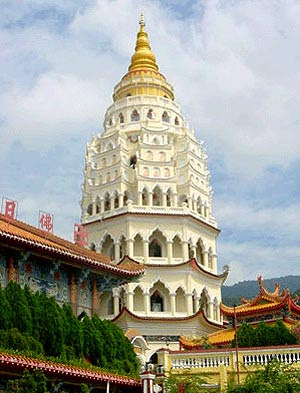 Penang is major tourist spot and known as food of heaven. enclosed stairways which are lined with market stall. It was built at the side of the hill and has been work progress for more than hundred years with a lot of new attraction. One of them is the bronze Kuan Yin statue which almost completed. If you want to get a close-up look of the statue, then you need to took the 'incline lift' to the goddess. It cost RM 2 for one way. cant go without a bowl of this my favorite asam laksa.